Brighton & Hove Community Land Trust (BHCLT) and Bunker Housing Co-operative are running a free workshop on how to raise money through loanstock on Saturday 10 November at The Bevy pub, Brighton. Loanstock is a great way for grassroots co-operative projects to raise money, using repayable loans from individuals or other organisations. Bunker Housing Co-operative has raised over £75,000 through loanstock and are about to start work on their first two houses. Hear from co-founder Martyn Holmes about how they did it and his tips for people wanting to do the same. The second part of the workshop will involve local housing groups discussing and sharing ideas on raising loanstock, including how to work together. Places are limited – book yours here at Eventbrite. We are an exciting new housing co-op planning to build 10 small, genuinely affordable, eco-homes in Brighton & Hove. Now we need 3 households to join existing members in promoting and developing the project. We have a great business plan, a viable financial spreadsheet, a registered co-op, bank account, house design and builder, a small grant and excellent support from other co-ops and the Community Land Trust. We want to take the project to the next level; to find land and get the homes built. We are looking for people who have organisational skills, can commit significant time and are experienced in co-operative decision-making. We especially need people who have communication, fundraising, business or project management expertise. But most importantly we need your passion, drive and energy. Please fill in this application form (https://goo.gl/forms/Z2O25kEsxLoxPnlT2) by 19 October at 12 midday. If you should progress to the next phase, we will invite you to an informal chat with two of existing members and then to a co-op meeting. Membership will be provisional for 3 months depending on fulfillment of commitments from both existing members and new ones. Then new members will be full co-op members. If you do not feel you can apply for an active membership, we will be opening up our membership again 6 months before construction. There will be a chance to apply for housing in the remainder of the homes available then. 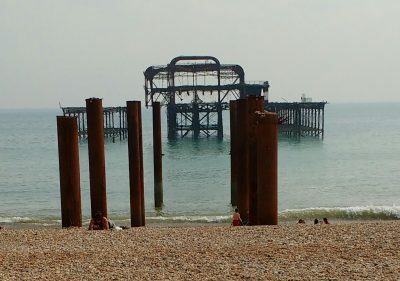 Brighton & Hove Community Land Trust (BHCLT) is holding its first Annual General Meeting on Wednesday 12 September at 6.00pm at the One Church in Brighton. It will also be a celebration of the first year of the Community-Led Housing Programme. Find out more and book your place here. Laughton Lodge – a story of building a cohousing community: Free talk from Mel Nock – a founder member of Laughton Lodge, a cohousing community set up nearly 20 years ago. Mel will be talking about the journey they took to set up their community, including the highs and lows. The event will be on Tuesday 18 September 2018, 6.00pm at Friends Centre (Brighton Junction). Find out more and book your place here. Community engagement and community-led housing: The session will explore how to get the wider community involved in your community-led housing project. Two experienced community organisers will be speaking: Sam Kinch joins us from the Heart of Hastings project that intends to build, purchase or renovate housing across the town that will remain affordable forever. Also, Keith Brown a Community Organiser for Nationwide who is working to build community around Oakfield Campus, a significant new housing development in Swindon. Find out more and book your place here. Co-opera tive Housing in Brighton & Hove (CHIBAH) have decided to run a survey to make sure we are meeting the needs of new and existing housing co-ops in the city. At 16 years old this year we want to make sure we are still heading in the right direction – please fill in this survey to help us with that. Reading across our website you can find all about our nine member co-operatives with around 200 people between them. The current members of CHIBAH are: Bug, Brightside, Bunker, Rosa Bridge, Sea City, South Downs Eco, Starlings, Sussex Cohousing and Two Piers. We will be having a social to get to know each other and discuss the survey results on Saturday 16 June, 2pm in the Gazebo in Christchurch, Two Piers Housing Co-op. Please come along! If you are going to come, please send an email to mail@chibah.org letting us know you’ll be coming for instructions on how to get there. If your co-op would like to join CHIBAH, please email us at at info@chibah.org. To get involved, simply turn up at a meeting, the dates will be announced via the CHIBAH mailing list. There are membership fees as follows: £7.50 per housed member and £4.50 per unhoused member. If your co-op houses members already, you will not be charged for unhoused members. When you join you will be added to the mailing list, and invited to join the CHIBAH Dropbox. Setting up a housing co-op and looking for mortgage advice? 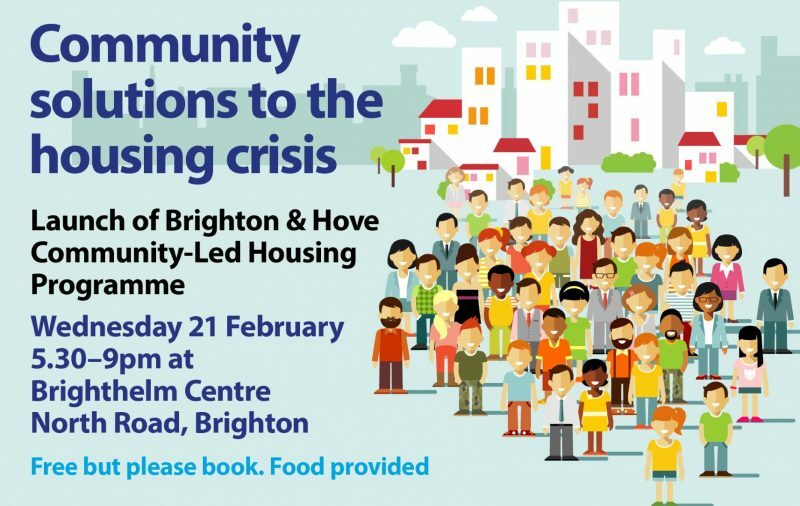 As part of the current Community-Led Housing Programme, the Brighton & Hove Community Land Trust put on an event in which they asked the three main mortage providers for community-led housing for their advice. See here for their replies. 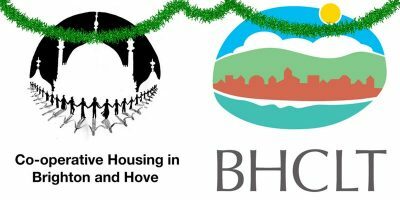 CHIBAH is working with Brighton & Hove Community-Land Trust (BHCLT) and Mutual Aid in Sussex (MAIS) on a new Community-Led Housing Programme, supported by Brighton & Hove City Council (BHCC). We are looking for a member for our small, fairly new housing co-operative in Tarner, close to Queen’s Park, from the start of April 2018 (flexible). We would like to live with feminist queer people. We are particularly interested in applications from POC and trans people (we intend this term to be used in its most inclusive sense). It is a lovely 5-bedroom house with a large garden for the centre of town. The house is on the small side but with a good-sized communal lounge and kitchen; the bedroom available is a small double. We are currently a mix of queer cis women and non-binary people. We all have quite different lives so we’re often not in at the same time but we try to do things we enjoy together, like chatting in the kitchen, eating together, watching Buffy, and other stuff. We want to create a home and live with people we care about and want to spend time with: for that reason our joining process involves several meetings and time spent together. We share things communally: food, books, DVDs, tools and such. The communal cooking is vegan, but it isn’t a strictly vegan or vegetarian space. We each cook once a week for the house, and we have a cleaning rota to keep things tidy. We try to do things in a sustainable and ecological way. Alcohol is drunk in the house but some people are alcohol-free. As a housing co-operative we are responsible for its management, as well as ongoing maintenance of the house itself. At a minimum we have monthly meetings and a monthly work day, to keep on top of these tasks. You do not need to have previous knowledge or experience of co-ops but we are looking for someone with an active interest and a willingness and ability to commit time to it. The rent is £348 pcm plus £65 for bills. There is no deposit. It is a one person, single tenancy. We welcome people on benefits. Accessibility: the house is up a steep hill, 10/15 minutes up or down a hill to bus stops and shops. There are 3 shallow but awkward steps to get into the house, and doorways are slim. The bedroom is on the ground floor as are all communal areas and there are no steps across the ground floor. Lighting is energy-saving bulbs across the house. Although we are unfortunately not able to make huge structural changes to the house, we are very happy to make other alterations as needed. The first stage of our joining process is a meeting where we will show you around and tell you about the co-op. This will be for up to 90 minutes on Saturday 3rd March at 11am. Interviews are planned for the weekend of 17th/18th March, but this is yet to be confirmed. If we like you at the interview stage then you will be invited to hang out with us in a more informal way – this would take place over the weekend of 24th – 25th March, again yet to be confirmed. If everything goes well at the hangout you will then be formally invited to join the co-op and could move in on or after 1st April. If you are interested please get in touch at rosabridgecoop@notmail.org and we’ll send you directions. If you have any access requirements of any type (application process, attending the meeting day etc), please just let us know!